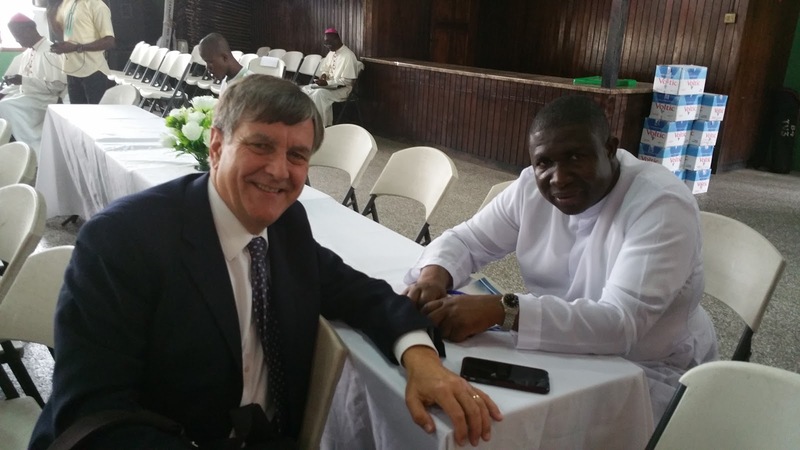 In a talk earlier this month in Accra, Ghana, at a pro-life conference organised by the Ghanaian Catholic bishops' conference I explained how African families are gravely threatened by western governments, international agencies as well as by Vatican departments. 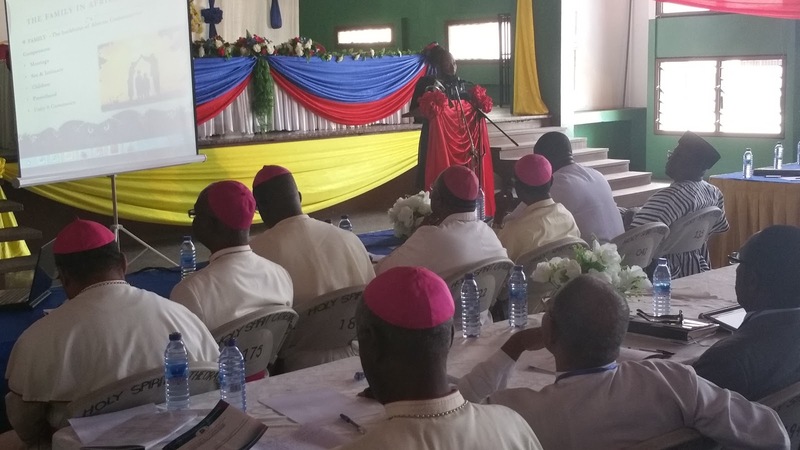 A little earlier this year, in June, a consultative meeting of African prelates had been held in Accra which culminated in the 45 bishops and 5 cardinals who represented episcopal conferences across the continent expressing their intention to present a united determination to defend Church teaching about marriage and family at the upcoming Synod of Bishops on the Family. The conference was entitled Protecting Life and Family Values in the continuing Culture of Death. 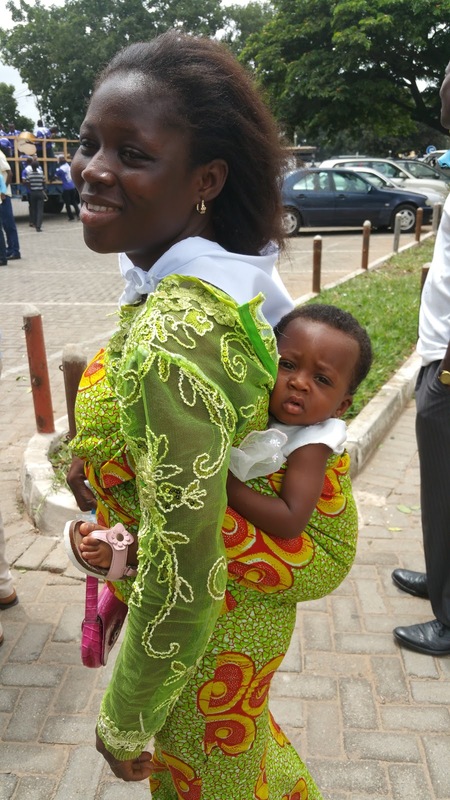 It was a two day event and the first day was held in a building in the grounds of Holy Spirit Cathedral, Accra. 13 of Ghana’s 20 bishops and archbishops attended for most of the event, with a few leaving in the afternoon. The seven bishops who did not attend were either out of the country, on holiday, or ill. The second day of the conference was directed at young people who heard excellent talks, including unambiguous teaching from two bishops, and an inspirational address from Obianuju Ekeocha (Uju for short), founder of Culture of Life Africa, who also addressed the bishops and their guests on the first day..
Uju told the bishops' conference: "IPPF has recently started a campaign to promote vasectomies in Ghana. This is an egregious attack on the African societies and can easily be seen as the castration of men and we reject that. The recent scandal involving planned parenthood in America reveals to the world the true barbaric nature of the culture of abortion. Africans have been called primitive for our dark history of human sacrifice but today the "modern" abortionists are killing unborn babies and then harvesting their organs. This is primitive and barbaric and it is happening in our time." The talks were followed by a pro-life march through the streets in which the bishops participated. A similar event took place in an outlying district of Accra in which around 500 altar servers from the archdiocese participated. The forces of the culture of death are very much in evidence in Ghana. 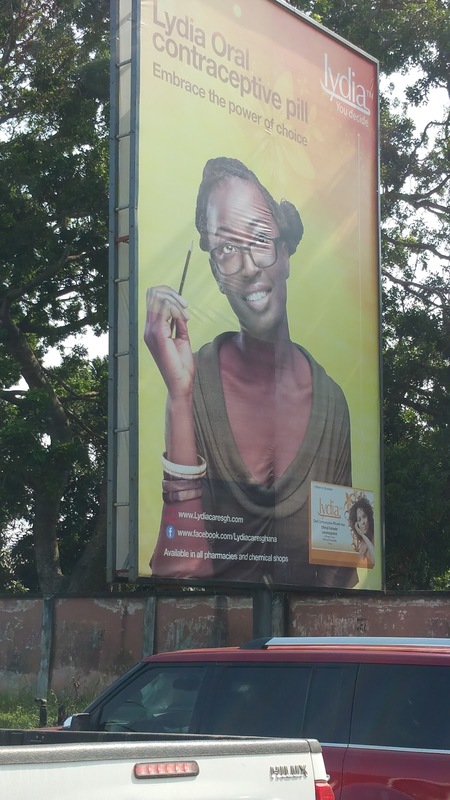 I saw huge advertisement hoardings promoting the pill under the headline “Embracing the power of choice”; the Ghana Times on the day I arrived carried a full page story on a project funded by the Norweigan Development Agency promoting sexual and reproductive health (i.e. 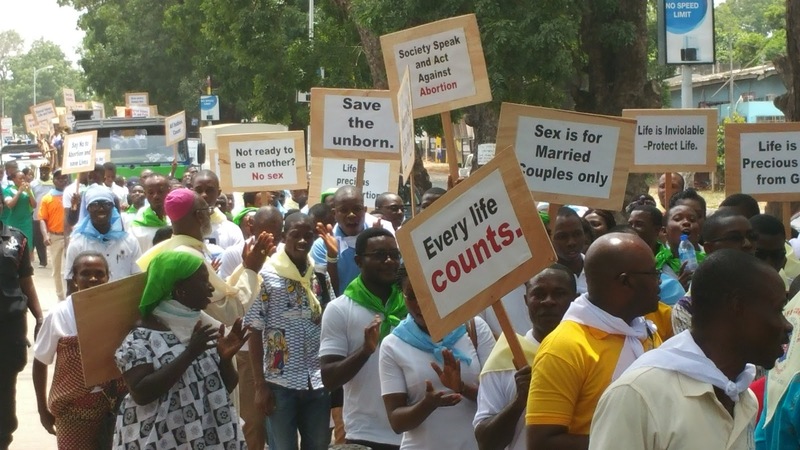 contraception and abortion) in poor urban and peri-urban areas of Ghana.There is no time to be lost and I believe Ghanas' Catholic leaders understand that. However, Africa's Catholic bishops will need all the prayers they can get from our families! Last year a leading cardinal from the west caused great offence in Africa and throughout the church by telling the African bishops effectively to keep out of discussions at the Synod on doctrinal issues relating to marriage and the family saying " ... they should not tell us too much what we have to do." And now I see that, according to Catholic News Agency, the Swiss Catholic Lenten Fund and a major U.S. foundation have helped fund an LGBT activist project intended to counter West African bishops at the Catholic Church’s Synod on the Family. I see too that Bishop Felix Gmur of Basel, Switzerland is president of the Lenten fund’s foundation council, which oversees the NGO’s directors group. Will the Bishop Gmur disown this effort to undermine the witness of African Catholic bishops? We shall see.